This is an historic technology as we have been using wind energy for over 4,000 years. Here in the UK we are lucky to have the best raw wind energy in Europe. In 2011 4.24% of all electricity generated was from onshore and offshore wind, up from 2.76% in 2010. We could potentially meet 15% of our electricity demand from wind by 2015 using a mix of wind turbines on land (on shore) and out in our seas (offshore), and according to the Department of Energy and Climate Change, by 2020 we could meet 15% of the UK energy needs with onshore wind alone. Wind turbines are available in a wide range of sizes. These shown below relate to the Feed in Tariff payments for generated electricity. Micro – producing less than 1.5 kW of energy. Some micro turbines (less than 100 watts) are often used to charge 12 or 24 volt batteries for use on off-grid systems, such as on boats. Small (up to 25 m) – producing between 1.5kW and 15 kW of energy. Medium (up to 47 m) – 15kW- 100kW. Large (up to 100 m) – 100kW – 800kW. Very Large (up to 179 m) – 500kW – 2MW. Huge (up to 190 m) – 3 MW+. Horizontal Turbines – have a horizontal rotor shaft and turbine blades pointing into the wind like an aeroplane propeller. Vertical Turbines – have the main rotor shaft running vertically. The turbine does not need to point into the wind and so these can be more suitable in areas where the wind is turbulent such as urban areas. The power of the wind is harnessed in a wind turbine by converting the rotation of the turbine blades into electricity. The blades of a wind turbine are connected to a rotating shaft which passes into an electricity generator. Inside the generator the shaft rotates within a magnetic field to create electricity (like a dynamo). For large turbines a gearbox may be used to increase the speed of rotation. 1. How much space do I need for my turbine? To avoid wind turbulence and maximise efficiency, the turbine should be at a distance of 20 x the turbine height from the nearest obstruction (such as trees and buildings). If a turbine is to be placed near a building (because compromises are sometimes necessary) then the distance should be far enough away to be clear of accidents caused by the turbine (the drop zone). It must be ensured that the turbine is not located so as to create a show flicker or noise nuisance (see below.) Ideally, stand-alone turbines should be sited as far away as possible from trees or buildings that might interrupt the flow of wind and cause turbulence. The wind turbine should be about twice the height of any obstructions right in front of it (the fall and throw zone), and it also needs to be taller than anything else within a 20 metre radius. Renewable UK produce a guide on siting small wind turbines, at www.bwea.com/you/siting.html. 2. Are wind turbines noisy? The sound emitted from a turbine is not great but it is generally considered by planning authorities that it is not acceptable that any residence should experience audible sound from a wind turbine within its immediate surroundings (curtilage). Rigorous evidence is demanded that this would not be the case before any planning permission is granted. 3. Do wind turbines affect radar systems or TV reception? Small turbines generally do not have adverse effects on television and radio reception. If it does occur it is likely to be very localised and easy to overcome. A planning permission usually has a condition that any problems discovered following installation must be overcome at the expense of the turbine owner. 4. Will small wind turbines have a ‘flicker’ from the turbine blades? Sunlight passing through the moving blades can cause a flickering effect. The effect can be very annoying but is not visible beyond a distance of 10 x rotor diameter. No turbine will receive planning permission if shadow flicker is judged by the Environmental Health Officer to be a nuisance at the boundary of the area (cartilage) of a residence or any other sensitive building. 5. Will small wind turbines affect birds? This is certainly an argument commonly put forward by objectors and is based on sound evidence from some of the first wind farms in the USA and Spain which were very thoughtlessly located on bird migration routes. However, the UK planning system – through it’s requirement for Environmental Impact Assessments – ensures that UK wind turbines are sensitively located. A recent report in the Journal of Applied Ecology http://onlinelibrary.wiley.com/doi/10.1111/j.1365-2664.2012.02110.x/full and the fact that the RSPB have plans for a wind turbine at their headquarters in Bedfordshire is evidence that modern wind turbine installations should not harm birds. 6. Do wind turbines reduce carbon emissions? Building anything that requires concrete, steel and plastic will require energy (usually fossil fuel generated energy) that creates carbon dioxide emissions. However, once installed, wind turbines generate electricity without any carbon emissions. In fact after a year to sixteen months (dependent on turbine size and windspeeds) enough carbon free electricity will have been generated to pay back all the carbon emitted during its manufacture and installation. By contrast, coal and gas generators never have a carbon payback. Recent DECC data shows that electricity generated from wind directly saves CO2 because gas fired turbines can be turned down very easily. Efficiency is sometimes confused with capacity factor. Efficiency is measured as a percentage of electrical energy that is generated from wind energy. The maximum theoretical efficiency (Betz Law) is 59%. Actual turbine efficiency is dependent on design and windspeed but is closer to 40%. However, since wind is free, the concept of efficiency doesn’t have the same relevance as it does for actual fuels. 8. What is capacity factor? This is how much power is generated as compared to the theoretical maximum. A 20 kW wind turbine has a maximum theoretical capacity per annum of 20 x 8760 (no of hours in a year) = 175,200. To achieve this, the wind speed would have to be constant at the best speed for the turbine. Obviously this never happens and the actual capacity factor is usually in the 20-30% range. Capacity factor is not a particularly useful concept for wind power because wind is free. The important consideration is how much electricity can be generated over the course of a year from a particular size of turbine. However, if you take a worst case scenario you could say you will get at least 5 million kWh from a single large wind turbine, so with the average household electricity in a county like Dorset for example being around 5000 kWh/year, each single large wind turbine could power at least 1000 homes. 9. Why should we have wind turbines in the UK? In a county such as Dorset which is a largely rural area (with a high proportion of land at high elevation where the wind is strong and relatively reliable) there are numerous isolated farms at the end of the grid but with high electrical demand (especially the dairies!). To remain financially viable in a world of increasing electricity prices, these farms should be allowed to utilise the wind resource on their doorstep. 10. 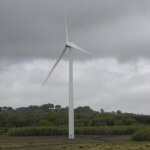 What is the public opinion on wind turbines? There is no doubt that opinions are polarised but public opinion surveys consistently show a majority support for wind turbines. A vocal minority objects to wind turbines under any circumstances and another (less vocal minority) would accept wind turbines in virtually any location! The pragmatic majority would however base their judgement on the proximity of a proposed wind turbine to their home, and although they would expect the planning system to protect them from shadow flicker and noise nuisance (which it automatically does) they would not automatically default to objection just because the turbine would be in their view. 11. 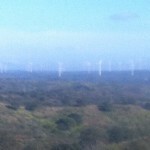 How can we have wind turbines but still protect our local precious landscape? In an Area of Outstanding Natural Beauty (AONB) such as much of Dorset in the South West, the landscape is sensitive to new structures. Some would consider it strange that the industrial appearance of new agricultural buildings is always accepted but wind turbines are considered by landscape professionals as “alien”. Planners like to see new structures in the setting of existing buildings but the best wind resource is obviously in exposed, more isolated positions. The acceptability currently seems to be dependent on scale, with small (20 kW or less) turbines usually achieving planning permission but anything larger always being refused and sometimes going to appeal. A modern CF15e wind turbine with a 20 m mast and 6m long blades – suitable for a farm or very large garden will cost £81,000 (May 2012) with the potential, (dependent on windspeeds), to generate 40,000 kWh/year worth £11,273 for Feed in Tariffs and up to £5,200 in avoided electricity bills. This represents a 20.2% return with a payback in year 5. Wind turbines are expensive but the energy they need to generate electricity is free. In contrast, gas turbine generators are cheap but the gas is expensive. Although there will usually be wind turning wind generators somewhere on the UK grid, wind is an intermittent source that needs to work in tandem with flexible, controllable energy sources until such time as energy storage systems are more widely deployed. However the increasing number of onshore and offshore wind turbines in the UK does not cause any problems in balancing demands on the national grid and reduces the demand for gas with subsequent cost and carbon savings. Due to the relatively expensive cost of wind turbine installations and the need to create an electricity generation infrastructure with lower running costs less sensitive to future gas price volatility, the government has introduced Feed In Tariffs to equalise the returns with gas turbines. 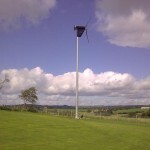 The combination of Feed in Tariffs and free electricity make a wind turbine of appropriate size a very attractive investment for a farmer (especially a dairy farmer with high electrical demand), householder or other site owner with a site that has above average wind speeds and a suitable building to make the grid connection. A large – or even huge – wind turbine can be worthwhile as a community investment or farm diversification project. They can be connected to the electricity grid, or used with electricity storage such as batteries. 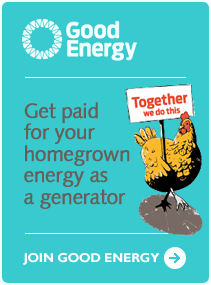 Feed in Tariff payments for generating electricity and exporting it to the grid. 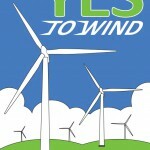 Plentiful wind resource available nationally. Power generation continues at night and in wintertime, unlike solar. They can be mounted on poles, towers or buildings. They can reduce your overall carbon dioxide emissions. Savings will depend on the turbine type size, local wind conditions, economies of scale and the cost of the electricity being replaced by using the wind turbine. People in rural or coastal locations can benefit more easily from wind energy as local wind conditions are often much better than in urban areas. According to the Energy Savings Trust, a well sited 6kW turbine could earn and save you around £3,200 per year including generation tariff, export payments and savings on electricity bills. This is based on 75% of generation exported, an export rate of 3p/kWh and a generation tariff of 26.7p/kWh. 1 wind turbine generates enough power for 230 million cups of tea every year! Wind power could supply more than twice the projected world energy demand in 2020! Just 1 single large wind turbine could power at least 1000 homes in a rural county like Dorset! Electricity from wind power directly saves CO2 because gas fired turbines can be turned down so easily! Electricity generated by UK offshore wind turbines has increased by nearly 50%! In 2009 China built roughly 1 wind turbine every hour!